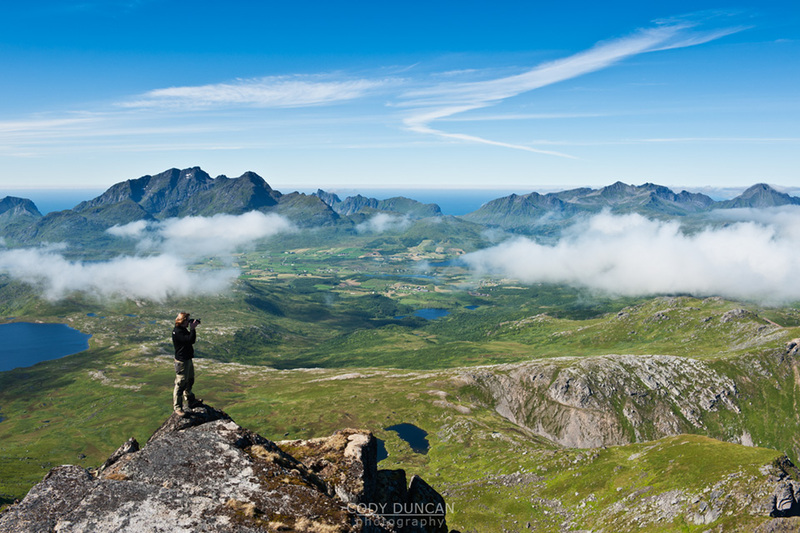 Justadtinden (738 meters) is the highest peak on the eastern side of Vestvågøy. 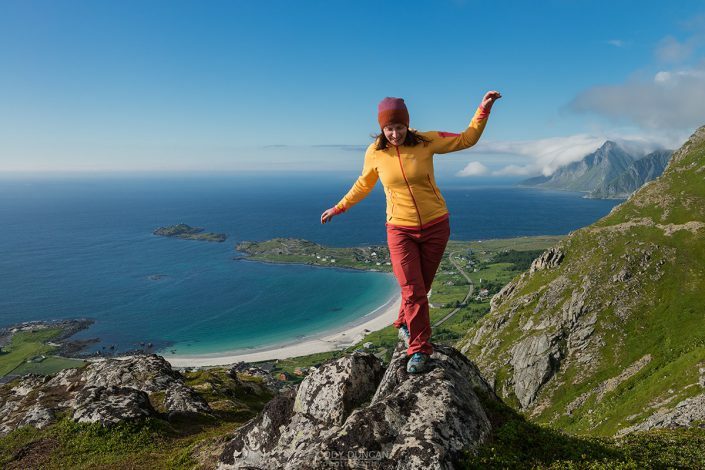 An easy and well worn trail through a scenic mountain landscape makes reaching the summit of Justadtinden a relatively easy hike and a good first introduction to the Lofoten islands. While the summit itself is rather flat and slightly anticlimactic, the 360º view is still something impressive. 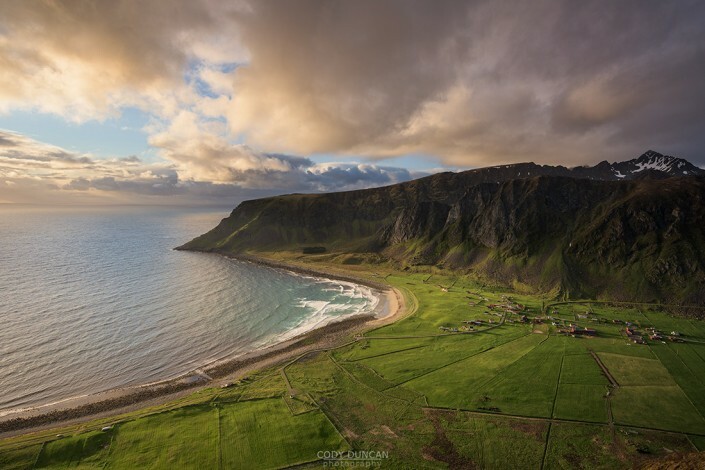 When the sun is out and the winds are calm, I imagine this would be a nice place for a picnic on a summer afternoon. 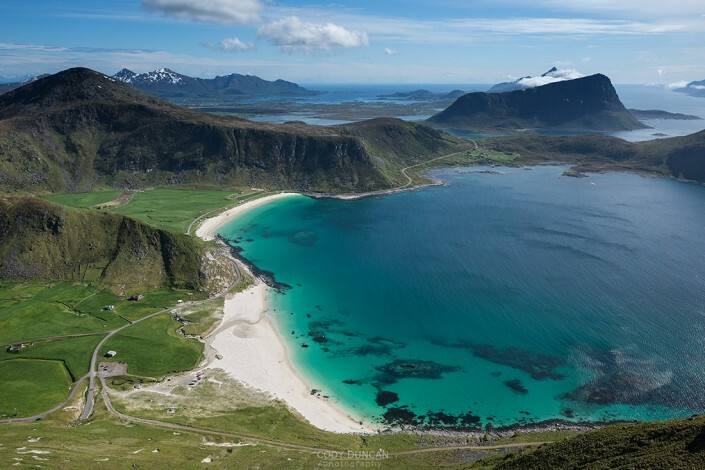 Car – From north or south, take the E10 to Leknes. 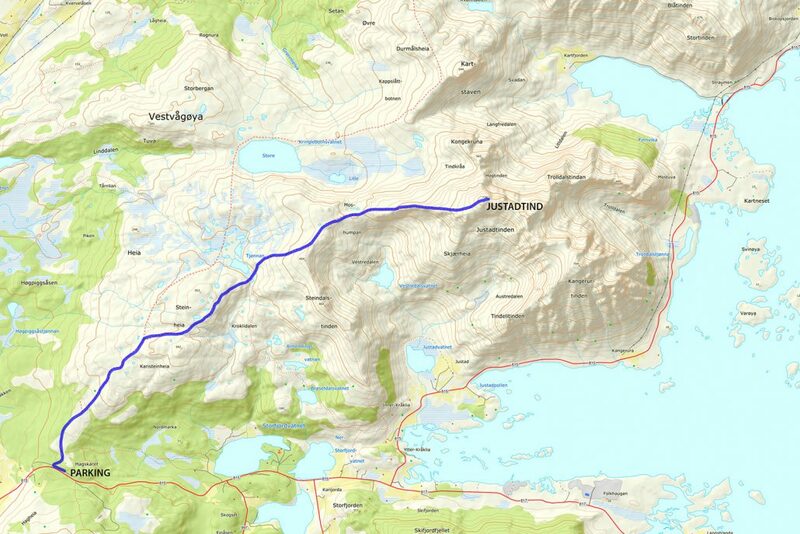 From Leknes, take the 815 towards Stamsund. After approximately 4km the road rises to the pass at Hagskaret – where the large building is. There are two parking options here on the left side of the road (before the building), one paved, and one dirt. Bus – Travel to Leknes and then catch the bus to Stamsund. Ask the driver to let you out at ‘Hagskaret,’ which is at the large building at the top of the pass. From the parking area at Hagskaret, take the dirt road towards the large antenna visible a couple hundred meters to the north. Keep following the road straight. After passing the antenna building on the right (don’t turn here), the road will soon end and turn into a hiking trail. There are several trails that cross back and forth, keep in the general direction of the right (east). From the start of the trail, the summit of Justadtind is approximately 6km away, with 600 meters of elevation gain. The first half of the trail gently gains elevation while wandering through low hills and ridges. The second half of the trail gradually increases in steepness (though still quite a gentle grade) and passes through a section of rocks shortly before the summit. The rocky outcropping that appears as the highest point is the top.